Experienced managers from diverse academic or private sector backgrounds. Dr. Nathalie Garçon is currently the chief executive (CEO) and scientific officer (CSO) of BIOASTER. She joined BIOASTER, the French technology research institute for infectiology and microbiology as chief scientific officer in July 2014. In this role, Dr Garçon directs the scientific aspect of the institute with the objective of accelerating the access to new technologies in infectious diseases that patient can benefit from. She was promoted to CEO in April 2015. Dr Garçon is a biological Pharmacist by training, and following the successful completion of two PhDs, one in pharmaceutical science and one in immunotoxicology / immunopharmacology, Dr Garçon moved to the UK for 1 year as a postdoctoral research fellow (the Royal Free Hospital London) undertaking research on liposomes in vaccines. After 4 years spend as postdoctoral research fellow, then as research assistant professor at Baylor College of Medicine in Houston, Texas, working on vaccine delivery systems and immunopotentiators, Dr Garçon joined SmithKline Beecham Biologicals now GlaxoSmithKline Vaccines in 1990, where she set up and led the vaccine adjuvant and formulation group. She moved from this position, to head of formulation technologies, head of research, vice president, head of global research and North America RD; and vice president, head of the global adjuvants and delivery systems centre for vaccines. In her last role within GSK vaccines before joining BIOASTER, Dr Garçon hold the position of vice president, head of adjuvants and technologies innovation center, where she provided leadership within GSK vaccines in the fields of new vaccines technologies, from discovery to registration and commercialization. Dr Garçon expertise in vaccinology extends from research to manufacturing, in particular immunology, adjuvant and formulation technologies, analytical methods, animal experimentation and toxicology/safety evaluation and testing. Dr Garçon is the 2014 laureate of the Stanley Plotkin award for lifetime achievement in the field of vaccines and vaccine technologies. She has authored over 70 papers and book chapters, and holds more than 100 patents. Doctor Cyril Guyard obtained his B.Sc. in Biochemistry with honors (1994) from University of Bourgogne, France and his M.Sc. in Molecular and Cellular Biology with honors (1996) from Louis Pasteur University of Strasbourg, France. He continued his training in Biology and Health Sciences at the Pasteur Institute of Lille, France and he earned his Ph.D. in 2001 at the University of Lille/Pasteur Institute of Lille, France. 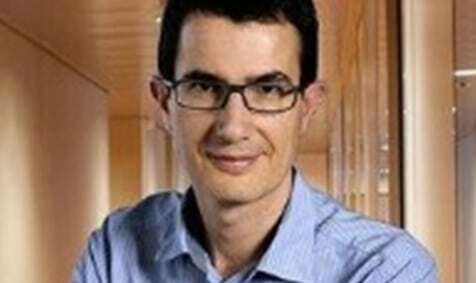 In 2002, Dr. Cyril Guyard joined the Laboratory of Pathogenesis of Infectious diseases of the Pasteur Institute of Lille/Inserm, France as a Post-doctoral fellow. In 2003, he obtained a Fellowship from the John E. Fogarty International Center and joined the Laboratory of Human Bacterial Pathogenesis from National Institutes of Health, USA. In 2006, Dr. Cyril Guyard joined Public Health Ontario as a Principal Investigator. In 2007, he was also appointed Assistant Professor in the Department of Laboratory Medicine and Pathobiology, Faculty of Medicine at University of Toronto. In 2008, in addition to his previous appointments, Dr. Guyard was cross-appointed as scientist in the Department of Microbiology of the Mount Sinai Hospital in Toronto. In 2013, Dr. Guyard joined Bioaster as Head of Technology Innovation Center. He is now the deputy CSO and the head of the Translational Sciences program at BIOASTER. Gilles Courtemanche received his PhD in 1991, on Synthetic Chemistry at Pierre & Marie Curie University Paris, France. He has then been working in the pharma industry for 20 years until 2013. He first took a Scientist position and worked in the Central Nervous System field where he participated in the discovery of the first CRF antagonists (1991-1994). As a project leader at Synthelabo, he contributed to the selection of several drug candidates for development phase in Urology, Gastroenterology and Metabolism fields. He was then promoted to Group Leader in Medicinal Chemistry, where he managed a team of up to 30 medicinal chemists working in the field of Infectious Diseases. Finally, he moved to Sanofi where he was responsible for the Collaborative Research on Neglected Tropical Diseases, working in collaboration with non for profit organizations like DNDi or MMV , and several international academic partners. He holds more than 20 patent applications. Currently, he is working for BIOASTER, where he is heading the Antimicrobials program. His mission is to build public-private collaborative projects to overcome technical bottlenecks that impair the discovery or development of drugs to treat Infectious Diseases. 1999 (Paris XI University). He defended his PhD in the field of microbial ecology (interactions between Legionella pneumophila, biofilms and protozoa) in 2004 in the same University, and then spent 2-years as a post doc at CHUV hospital (Lausanne, Switzerland) to investigate interactions between Free-Living Amoebae and various microorganisms, including mycobacteria, new Chlamydiales species and new viruses. In 2006, he took a position as a senior researcher at STERIS Corp. to develop a microbiology lab located in the premises of the French Nuclear Agency (CEA, Fontenay-aux-Roses, France) and directed at disinfectant mechanisms of activity against emerging infectious agents including prion, various viruses, protozoa and drug-resistant bacteria. During this period, he had the opportunity to co-head a PhD thesis; he was also in charge of a 3.6M€-granted project directed at infection control and represented his company in the Governing Board of the Alliance Biosecure Research Foundation. He obtained his HDR (Accreditation to supervise research in microbiology) in 2012, and then left to join the French startup Enterome in 2013. He was specifically in charge of the development and validation of an industrial platform dedicated to DNA extraction, biobanking, metagenomics sequencing and bioinformatic analysis for the analysis of gut microbiota, including development and CE marking of a stool sampling kit in close association with INRA-Metagenopolis. Vincent joined BIOASTER in 2015 as head of the Biological Collections and Microbiology Unit. Chief Executive and Scientific Officer, BIOASTER Technology research institute. 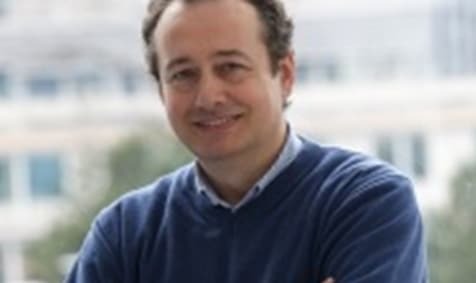 Patrick Lecine, PhD: following an engineering degree in biotechnology (INSA, Toulouse, 1992), Patrick Lécine got a PhD in human immunology at the University of Luminy, Marseille, studying transcriptional control of the CD25/IL-2Ra gene in primary human T cells (1992-1996). Then he moved to Boston Harvard Medical School to work at the Dana-Farber Cancer Institute on murine hematopoiesis, deciphering the molecular mechanisms involved in the latest steps of megakaryocytes differentiation and platelets production in mice (Boston, USA, 1997-2000). He then went back to France where he got a junior scientist position at the Center for Cancer Research in Marseille and rapidly got involved in molecular characterization of proteins involved in cell polarity in general, with a greatest consideration for the protein-protein interactions (PPI) in mammalian cells and their roles in cell polarity. Beside this fundamental research in cancer, he set up a PPI screening platform dedicated to both in cancer and virology research. As director, he was involved in several research programs in cancerology as well as in virology (SARS and Dengue virus). In 2008, he joined Dr Banchereau’s lab in Dallas (INSERM Unit 899) as the scientific coordinator of a TB vaccine project, which also included a TB diagnosis program through new technologies (2 patents were delivered). In 2012, he came back to France, to work on HBV PPI with innate immunity system. In 2014, he joined BIOASTER as an expert in immunology and vaccinology. Philippe Leissner has a long-standing interest in the development of biomarkers and diagnostic tests for infectious diseases and oncology. After completing his Ph.D in Molecular and Cellular Biology in 1995 at the University Louis Pasteur, Strasbourg, France, he worked at Transgene, a French biotech specialized in gene therapy research activities. In 2001, he joined bioMérieux, a world leader In Vitro Diagnostics company and held several positions in R&D in the field of Oncology, Infectious Diseases, and Personalized Medicine leading different R&D programs and developing strategic collaborations. He has authored over 30 scientific peer-reviewed publications and patent applications and was involved in scientific evaluation of European Health Research Proposals from 2009 to 2012. He joined BIOASTER in 2016 as head of the Diagnostic Program where he has been developing partnerships with industrials, academics and Non-Governmental Organizations in the field of Infectious Diseases for developed and developing countries. Alain Troesch holds a Pharm. D., Industry Specialization (1987) and a Ph.D., Cellular and Molecular Biology (1990), from Université Joseph Fourier, Grenoble, France. In 2012, Dr Troesch joined BIOASTER, where he currently serves as Technologies Director, and is responsible for state of the art technology units, conducting new technology developments, and contributing to BIOASTER’s collaborative projects in the fields of antimicrobials, vaccines, diagnostic and microbiota. Prior to that, Dr Troesch held several Executive R&D positions at bioMérieux, one of the leading in vitro diagnostic companies. From 2010 to 2012, he was Executive Research Director, Innovation & Systems, and led a cross-functional technology research program for infectious diseases management, to support the company’s strategic orientations. He strongly contributed, from the very early days, to the definition and then to the creation of BIOASTER. Prior to 2010, he served as Global Executive Director, R&D Molecular Biology, for more than 10 years. He managed R&D departments based in France, the Netherlands and USA, and successfully headed the development of molecular in vitro diagnostic products. He also defined and steered R&D projects with academic and industrial external groups. Dr Troesch worked at Affymetrix (Santa Clara, CA) from 1996 to 1999, and steered the technical collaboration with bioMérieux. He played a key role in the proof of principle and the development of several DNA Chips applied to infectious diseases (Mycobacterium, Staphylococcus, HIV…). Prior to that, he led collaboration projects with academic teams, to identify susceptibility genes for monogenic and multigenic diseases, and to develop large-scale genotyping methods. He also worked in Italy from 1990 to 1993 (at a company acquired by bioMérieux) to lead the development of hepatitis B immunoassay kits on bioMérieux’s VIDAS system. Then he started to work at HUG hospital (Geneva, Switzerland) in order to study multiple drug resistance in Staphylococcus aureus until 2009. Then he started a second post doc at Harvard Medical School (Department of Medicine) and Massachusetts General Hospital (Department of Infectious Diseases) (Boston, USA). In 2013, he was appointed Research Associate in Medicine. His research was dedicated to the understanding of the efflux pumps associated antibiotic resistance regulation and the biofilm formation in Staphylococcus aureus. Dr. Villet Joined the International Center of Infectiology Research (Lyon, France) in 2016 and developed new methodologies dedicated to bacterial biofilm analysis. In 2017, he joined BIOASTER as head of the Biological Collections and Microbiology Unit. Andrea Tamellini has a long career in the fields of drug safety assessment and laboratory animal science. His last role, before joining Bioaster has been Director of Laboratory Animal Science at Aptuit, Verona, Italy. Prior to joining Aptuit in July 2010, he spent most of his career in Glaxo, GlaxoWellcome and then GlaxoSmithKline. Andrea Tamellini had his Degree in Veterinary Medicine from the University of Parma in 1991. He also obtained a Master of Science degree in Applied Toxicology at the Surrey University (UK) in 2002. Andrea Tamellini had his Degree in Veterinary Medicine from the University of Parma in 1991. He also obtained a Master of Science degree in Applied Toxicology at the Surrey University (UK) in 2002. Andrea Tamellini joined Glaxo in 1992 as Study Director for GLP and non-GLP repeat dose toxicity studies in rodents and dogs. In 1999 he successfully acted as Project Coordinator of a number of Central Nervous System and Antimicrobial projects with the role to coordinate the safety studies necessary to support clinical programs in new chemical entities. He was appointed Head of Laboratory Animal Science and Technology in 2001 and Director of Laboratory Animal Science in 2003. In this role Andrea Tamellini was deeply involved in the preclinical development of drugs managing the conduction of all the activities related to support the in vivo work as it regards efficacy and toxicological evaluations of new chemical entities. Andrea Tamellini joined BIOASTER in September 2013 as Head of Pre-clinical Models & Imaging Unit. 20 years devoted to Life Sciences and Healthcare R&D (target/drug discovery, proteomics, pre-clinical research, diagnostics, MD IVD…), more especially Bioinformatics and IT/IS business projects of SMEs (Biotechs, Biopharma, MedTech) and academic institutions. Dr. Guillaume BOISSY acquired a B.Sc. in Molecular Biophysics from University Paris 6 (Jussieu, Pierre & Marie Curie). 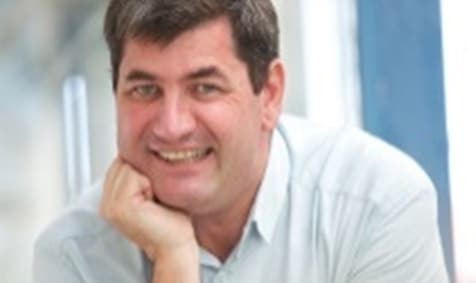 Guillaume then deeply contributed to the creation of the pioneer X-ray crystallography laboratory focused on biological macromolecules at INRA (Jouy-en-Josas) where he earned his PhD degree in 1996 and built strong partnerships with the structural biology community. 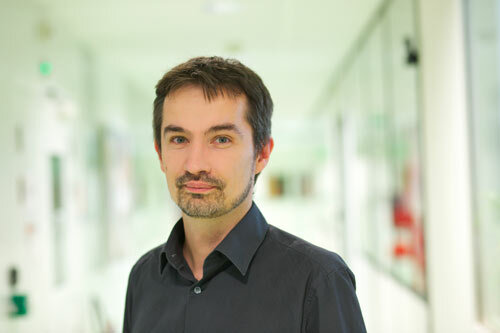 In 1999, after a Master in Computer Sciences at INSA (Lyon), Guillaume joined a young spin-off of Pasteur Institute, Hybrigenics, as first a senior software developer, then a project leader, and finally a bioinformatics platform manager. 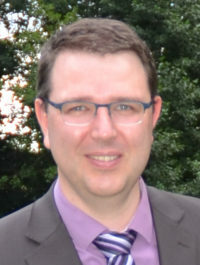 In 2005, Guillaume was appointed Head of Bioinformatics & Information Systems and as both a Senior Director and a member of the Executive Committee, he intensively participated to the IPO of this biotech (2007), to the success of USP drug discovery program, to the creation of a sales force concomitantly to the ISO9001 certification of the fee-for-service activities. He hence captured a strong experience in scientific and Bio-IT solutions design (software engineering, HTS platforms, innovative chemo- and bioinformatics, datamining, labs interfacing…) and in corporate IS (IT infrastructure, CRM/ERP, Business Intelligence…). In 2011, Guillaume joined Genomic Vision as CIO, a MedTech dedicated to molecular genetic tests and medical device for diagnostics. He succeeded in the CE marking of MD IVD software and the design and implementation of a world-wide spread image analysis platform. 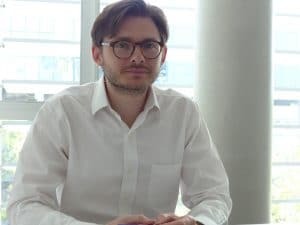 After a short experience as a freelance senior consultant (IT/IS for Life Sciences) Guillaume joined BIOASTER in June 2015 as head of Data Managment & Analysis Unit. 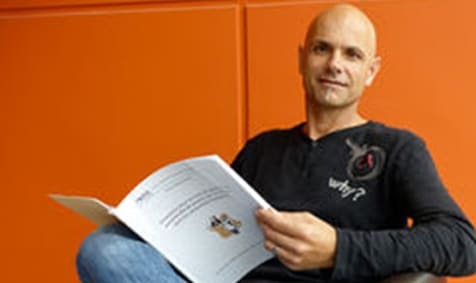 Christophe Védrine received an engineer degree in biotechnology in 1998 at the Université de Technologie de Compiegne, a Master degree in cellular and molecular biology in 1999 at the Université Pierre & Marie-Curie and obtained his PhD in biotechnology at the Ecole des Mines de Saint-Etienne in 2003. In 2004, he joined CNAM analytical chemistry team as associate professor. He developed new bio-analytical methods and technologies: Whole cell, DNA and label-free biosensors. He set up and managed an industrial collaboration (Luminex technology) with Theradiag. He also managed collaborations with several institutional partners: Laboratoire Interfaces et Systèmes Electrochimiques, Ecole des Mines de Saint-Etienne. From 2008 to 2014, he was Project Leader at Bio-Rad, in the clinical diagnostic group. Since 2014, Christophe works at BIOASTER as technology development officer. He was involved in the development of droplet-based microfluidics assays, multiplexed assays, and a point of care test for EBOLA virus detection. He was recently appointed head of the Biological microsystems and advanced optics-engineering unit. Dr Werle completed her PhD in Cellular and Molecular Biology and Biochemistry at University of Burgundy in 1998 in the field of recombinant vaccines for respiratory syncitial virus. Then she joined INSERM U271 as a post-doctoral fellow in 1999 working on rapid diagnostic tests on hepatitis B. Early 2004 she joined Merial, a global animal health company, as manager of virology lab at Bioresearch Merial in charge of technology platform for new recombinant vaccines. 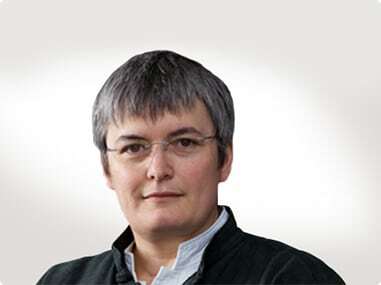 In 2009, she joined Solvay as head of genomic, transcriptomic and Viral vector vectors platforms in Burgundy platforms. 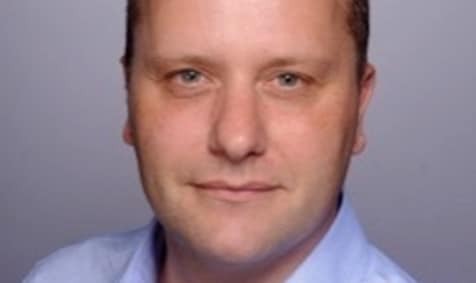 Early 2013 Dr Werle joined BIOASTER as head of Proteins & Expression System unit. Dr Werle completed her Habilitation (HDR) in 2017. Her expertise is based on vaccine design and molecular engineering of live vectors, production systems and reagents for vaccine release and In Process monitoring. Doctor Frédéric Bequet obtained his B.Sc. in Cell Biology and Physiology (1995) from University of Paris XIII, France and his M.Sc. in Neurophysiology (1997) from University of Paris V, France. He continued his training in Neurophysiology at the Aerospace Medicine Research Institute from the French Army (IMASSA) and he earned his Ph.D. in 2000 at the University of Paris V, France. 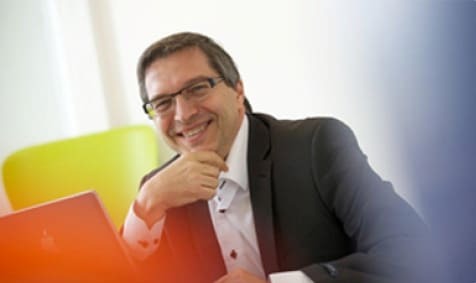 In 2001, Dr. Frédéric Bequet joined Sanofi R&D France, in the department of Analytical Sciences as a Post-doctoral fellow and in-vivo pharmacologist expert, in order to develop in-vivo targeted metabolomics approaches. He was then hired in 2002 by Sanofi R&D as Bio-analytics and in-vivo Pharmacologist Scientist. He pursues his career at Sanofi R&D and was appointed Head of the Metabolites Profiling Lab of the department of Analytical Sciences in 2007 and Head of the Metabolomics Platform for Exploratory Research in 2010. In 2013, Dr. Bequet joined BIOASTER as Head of the Metabolomics & Proteomics Technology Unit and then took on the head of Omics hub in 2018.